CTG is pleased to announce the promotion of Ed Pittenger to Director of Engineering. Ed is a United States Air Force veteran who has specialized in broadcast television engineering for over 27 years. He has gained extensive broadcast stadium and venue experience as the Engineer in Charge for both National Mobile Television and F&F Productions. 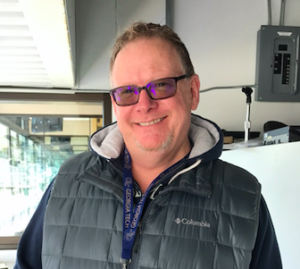 Ed has also been the senior engineer in charge of mobile unit production for numerous high-profile sporting events including NFL on Fox, Stanley Cup broadcasts, and Olympic coverage. Among many other companies and clients, he has worked for Space Command, the Air Force Communications Command, and Disney Production Services. As Director of Engineering at CTG, Ed will manage broadcast engineering business development, integration projects, design and system development, and provide hands-on guidance to fellow engineering staff in installation. Ed will report directly to managing principal Jim Wile.